A little type talk for you as a turkey-filled day looms in the near future. On the train up to my Thanksgiving destination — New York — I finished up a design book, Graphic Design Thinking: Beyond Brainstorming. I’ve been on a mission to get more inspired, and this book has been one component of my mission to think about how to approach projects in terms of defining a problem, getting ideas, and creating form with a fresh perspective. This book really hit all of the high notes for me, and I learned a lot in terms of employing visual brain dumping, applying action verbs to concepts, sprinting (putting pencil to paper in a timed fashion), using a kit of parts, and more. It was also nice to view the work of other talented artists for continued inspiration. To supplement this, I attended an AIGA DC lecture on inspiration called When Lighting Strikes and have been trying to sketch more. One of the book’s case studies on Art Everyday, an organization with the mission to make arts an integral part of education in all Baltimore city schools, used a type technique in their promotional posters that caught my eye. 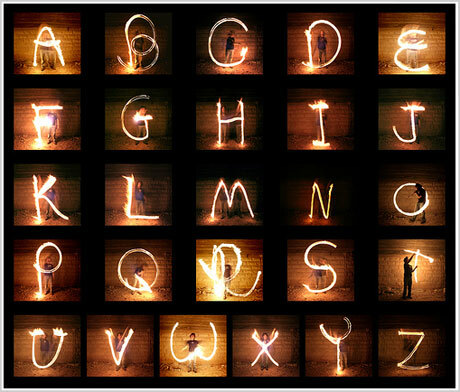 Light writing (aka “light drawing”). I know I’ve seen it before but didn’t know what it was called or how it was constructed. Well, according my online research “the most common technique [of light writing] is to capture multiple second exposures of light moving from one point to another in the frame. 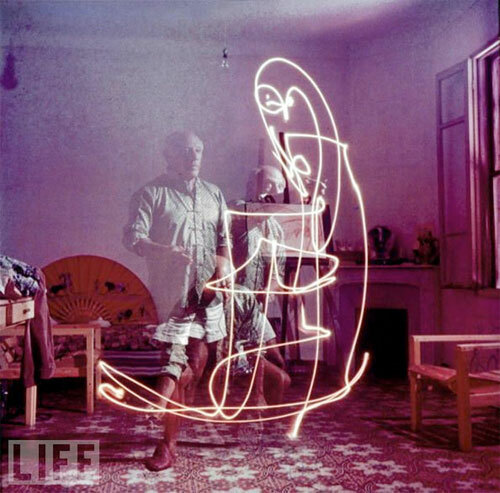 Though the technique was employed almost one hundred years ago by Pablo Picasso it has only recently been used for main stream advertisements.” What’s especially fitting about using light writing for Art Everyday is shows art in action, which helps people understand arts integration — and why it’s important.